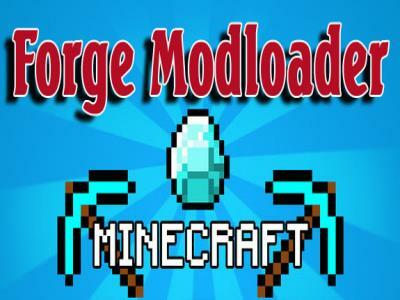 Forge Modloader is a must-have for any Minecraft users who wish to use more than just one mod at a time. The Forge is more than just a regular mod, it is an essential tool that makes different mods work together. With this tool, players can now use all their favorite Minecraft mods without worrying about compatibility issues. It calls other mods to follow its directions, helping ensure cooperation amongst all the members. Now players do not have to deal with manually fixing compatibility issues, instead the Forge does it for them. This means users no longer have to pass up new, interesting mods or drop old favorites because of compatibility errors. There are a lot of great Minecraft mods out there and players should not be forced to miss out on any of them. It is a common problem for players to install new texture packs only to find that it does not work with one or more of their mods. This is both a waste of time and very disappointing. Thankfully, the Forge also helps out here. Much like with other mods, the Forge helps texture packs work smoothly with other content. This even applies to high definition texture packs! It is so great how Mojang consistently releases new updates for Minecraft. However, more often than not, this turns once functional mods totally obsolete. This means players have to wait indefinitely for the mods creators to update. In worse case scenarios, mod creators abandon their mods, meaning players have to completely scrap it or else take it upon themselves to update it. Now, with Forge Modloader, the update process is somewhat smoothed out. This particular mod has the benefit of a larger development team, which means it updates sooner after a new Minecraft release. Unlike mods made by just one person, which can take weeks to update (if it even gets updated), the makers of Forge are take pride in keeping their update times to an absolute minimum. Once the update is released, players can then once again start using their favorite mods while enjoying the new Minecraft update. As mentioned earlier, there are a number of people behind this mod. In addition, they run their own forums. So players can connect both with the developers and other users of this mod to get support, fix bugs, or just hold general discussions.